Dr. Mark Mashia practices a Japanese style of acupuncture based on the work of Master Nagano and internationally known Kiiko Matsumoto. Mark is a chiropractic physician by training. 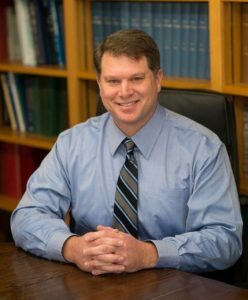 In addition to the practice of chiropractic medicine, he has also completed the certificate program in "Structural Acupuncture for Physicians" at the Harvard School of Medicine. He is also trained in the Mei Zen cosmetic acupuncture system for facial and neck rejuvenation. Acupuncture involves the insertion of extremely thin needles into the skin at strategic points on the body. A key component of Traditional Chinese Medicine, acupuncture is most commonly used to treat pain, but is helpful for many conditions. 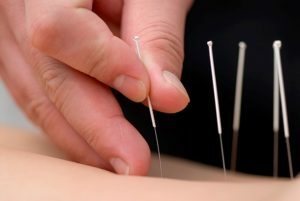 Traditional Chinese Medicine explains acupuncture as a technique for balancing the flow of energy or life force — known as qi or chi (CHEE) — believed to flow through pathways (meridians) in your body. By inserting needles into specific points along these meridians, practitioners believe that energy flow will re-balance. As long as it is performed by a competent practitioner, acupuncture is one of the safest forms of medicine available. The needles are sterile and disposed of after each use. Once we have a thorough understanding of your condition, we will carefully insert sterile, disposable, hair-thin acupuncture needles into specific point locations. We will then let you relax with the needles in for 30-40 minutes. The following are the most common reasons people seek treatment. However, Chinese Medicine has been developed over thousands of years as a primary system of medicine and can therefore treat a wide range of conditions. Understandably, this is usually the first question people ask. Actually, most people are surprised to discover just how relaxing a treatment actually is. The needles are hair-thin and are inserted just under the skin. The sensation of the needles can vary. People usually report feeling a slight ache, pressure sensation, tingling, heat, or the sensation of something moving. Many people even fall asleep during the treatment.